Fast casual chain Dig Inn is committed to supporting more sustainable agricultural practices and healthier eating. 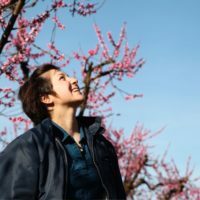 Below Taylor Lanzet, director of supply and sustainability, and Larry Tse, farm manager, talk to me about how the restaurant uses its platform to support its 102 farm partners in experimenting with new crops and growing processes, as well as executing whole year, multi-crop plans. In addition to supporting minority-run and small-scale farms, it also runs a farm in Upstate New York to connect its chefs more deeply to produce where it’s grown. Danielle Gould: Is biodiversity a priority for Dig Inn? If so, how and why? 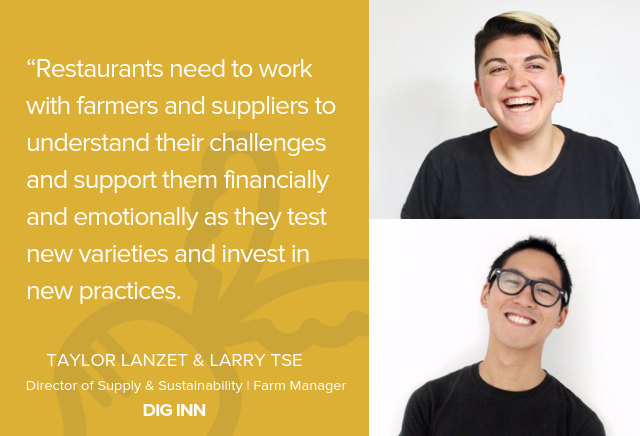 Larry Tse: Dig Inn believes that to grow our business based on sustainable and healthy eating habits, we must also work to grow the environmental and economic sustainability of our farm partners and the agricultural industry as a whole. We know that by encouraging farmers to look holistically at their farms and practice more aggressive crop rotations, wildlife diversity protection, and reduced spray programs their operations can continue to thrive into the indefinite future. Creating systems that work in tune with nature, rather than fighting it, will lead to farms that are more resilient against the challenges that a changing climate will bring, such as inclement weather, fast-moving diseases, and increased pest pressure. If we can encourage our partners to implement more sustainable habits, we can create a supply chain with fewer interruptions and grow our partners’ businesses alongside our own. DG: What is Dig Inn doing or planning to do to promote biodiversity? LT: Our constantly changing menu supports our farm partners in executing whole year, multi-crop plans – instead of buying lettuce from a single farm year-round, our menu shifts with the seasons, allowing farmers to grow and retain business from us throughout the year. On the Dig Inn Farm, we run a robust farmer training program that aims to teach our apprentices how to grow every single crop they might encounter on another farm. We create pollinator habitats by allowing older crops to flower rather than mow, and plan to work with the Natural Resources Conservation Service to plan out large scale pollinator habitats in the future. As an organic farm, we aim to limit the use of OMRI allowed broad-spectrum pesticide as much as possible via use of floating row covers and physical barriers like kaolin clay. DG: What is the restaurant business case for biodiverse agriculture? LT: The backbone of our business are our farm partners that keep us constantly supplied with fresh produce. By encouraging our producers to be more conscious of the holistic health of their farm systems, we are insulating our supply chain from interruptions due to disease, fertility, and growth issues that come from monocropping a field year on end. By growing different crops and new product that we can use on our menus, we are also increasing their operations financial sustainability, thereby continuously growing relationships with our farmers into the future. LT: We believe in building strong relationships with our growers while encouraging them to limit the use of pesticide/fungicide/herbicide applications, grow a more diverse array of crops, and increase land set aside for wild flower and pollinator habitats. By building a mutual trust between restaurants and partners, we assure our growers that by taking a risk in using new practices, we will still commit to buying the produce they send, even if they suffer from some damage or other issues that arise during the early stages of new systems. We need to be there for our producers when they take risks in a low-margin industry, and if that means shifting the food system away from only taking A-grade produce, then so be it. DG: What are the greatest challenges and opportunities farmers face for creating a more biodiverse system? What are you doing to overcome or capture them? LT: Many farmers want to try new systems that improve soil health or encourage biodiversity, but don’t know how to begin and are worried about investing in a new system in an industry where so much can go wrong. We believe that the obsession with perfect, blemish free produce is hurting farmers in considering how they want to implement new systems moving forward. If we can commit to buying produce that has blemishes while still paying our partners a fair wage, we believe they would be more comfortable trialing new systems that they may result in below-average graded produce that they could still find a market for. DG: How might we get more restaurants to invest in biodiverse agriculture? Taylor Lanzet: Restaurants need to work with farmers and suppliers to understand their challenges and support them financially and emotionally as they test new varieties and invest in new practices. They also need to support them by purchasing product that is cosmetically imperfect. TL: Start planning with your farmers in the off season! Don’t just commit to varieties that they have grown year after year, but express excitement for new varieties or heirloom varieties that are native to a region. Ask your farmer what she is excited to grow and help her find a channel for that product. TL: More fish! So many folks just eat the same species of fish – its a beautiful ocean out there and we need be more adventurous and celebrate more diverse species. LT: Ultimately, what will drive the agriculture industry forward to adopting more sustainable farming techniques are more conversations and dialogues between farmers from all across the industry spectrum. We should be bringing together conventional and organic, small-scale and large, biodynamic and agroforestry, and everyone in between to talk about how their systems benefit their operations and what we can borrow and learn from one another to change our industry as a whole. TL: To make changes to the food system, we can’t just villainize large scale farming – that hasn’t gotten us as far as we want. We need to learn from these growers and industry partners to understand how we can influence and educate each other. 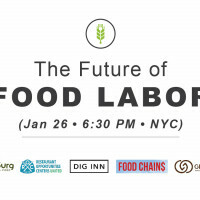 Dig Inn’s mission is to rebuild the food system – and for that, we need to include everyone from farm workers to fishermen to buyers to politicians. 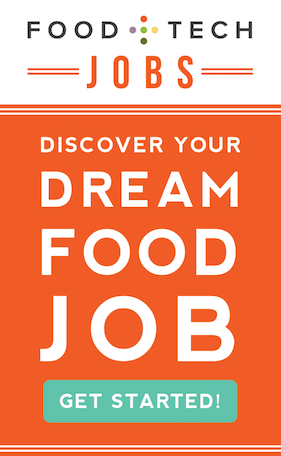 Taylor Lanzet is the Director of Supply & Sustainability of Dig Inn, a vegetable-forward, farm-to-counter restaurant group. Dig Inn offers an alternative to the industrial food system by cultivating a network of sustainable farmers and producers to bring tasty, healthful and mindfully sourced food to everyone. 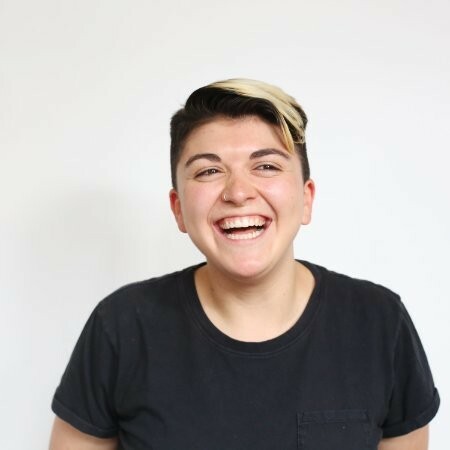 Taylor focuses on Dig Inn’s sourcing and sustainability initiatives within the supply chain — working directly with farmers to source underutilized vegetables, efforts to work with women and marginalized farmers, and new approaches to disrupt the bind between economic status and ability to eat good food. She also leads the Dig Farm project, working alongside the Dig Farmer, Taylor launched the company’s 12 acre farm in the Chester, NY. The farm compliments the supply chain allowing for more culinary innovation at Dig Inn and invests in the future of farming. 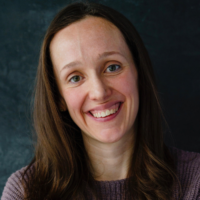 In addition to her work with Dig Inn, she was the Associate Producer to Heritage Radio Network’s Eating Matters podcast and regularly participates in conferences and panels on agricultural policy, social responsibility and sustainability. Prior to Dig Inn, Taylor graduated from Brown University (’15) with a B.A. in Environmental Studies. While at Brown, Taylor managed a food hub, recognized by the USDA and White House, which connects low-income Brown students, staff and faculty with healthy and local produce. 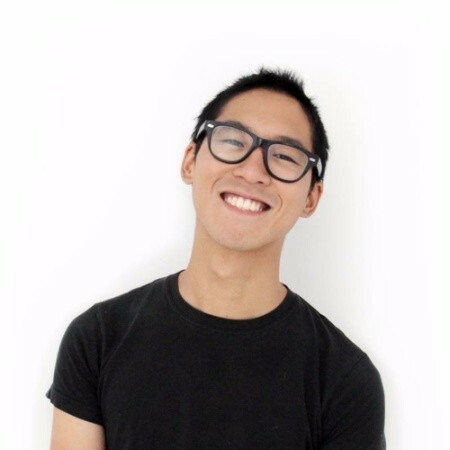 Larry joined the Dig Inn team as Farm Manager upon the company’s decision to lease land in Westchester, NY to cultivate a living and learning space for growing food. After studying agricultural policy at George Washington University in D.C., Larry began his career as a produce buyer for NYC’s Northern Spy, riding his bike to farmer’s markets around the city to source produce for the restaurant. He moved into farm management while working on two different small-scale farms in Pennsylvania, and then New York, before planting his roots at Dig Inn in January 2017. Farmer Larry (as he’s known to our Dig Inn community) oversees both the people and plants on Dig’s farm, training new farmers and developing an apprentice program, being a good neighbor to our peers at the Chester Agricultural Center, and collaborating with Dig Inn’s supply team and chefs to ensure product is moved seamlessly from the farm to restaurants.